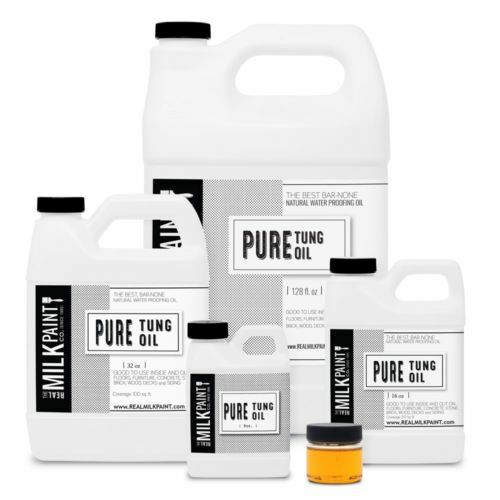 Pure Tung oil has been trusted for thousands of years as a waterproofing agent and wood finish, and when it dries it forms a protective layer over top of the surface to which it’s been applied. Tung oil can be used over paint or as a wood finishing oil, making it great for projects like furniture, decks, cabinetry, floors, doors, bowls (Tung oil is FDA approved as food safe), counters, and cutting boards, and can even be used on brick and concrete. 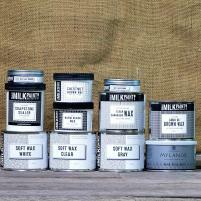 Real Milk Paint’s dark Tung oil is similar to our regular Tung oil, except that it has a natural and non-toxic resin added to the mix that brings depth to a wood grain. It also creates a dark, matte finish that results in a classic aged and antique look. Dark Tung oil has all the same great features as our regular Tung oil, so it’s ideal for all the same types of projects. If you’re looking for natural wood oils and VOC-free finishes, hemp oil is a fantastic choice. It requires no thinning, has a pleasant nutty aroma, and has a color that varies from a light green to a golden yellow. Like Tung oil, hemp oil dries to a matte finish, and can be used on bare wood or as a finish on top of the paint. Our natural citrus solvent is an environmentally friendly product that can be used as a paint thinner alternative, in place of mineral spirits, and as a degreaser. Our solvent is made from pure orange peel extract and water and doesn’t contain the additives or surfactants found in traditional paint thinners. 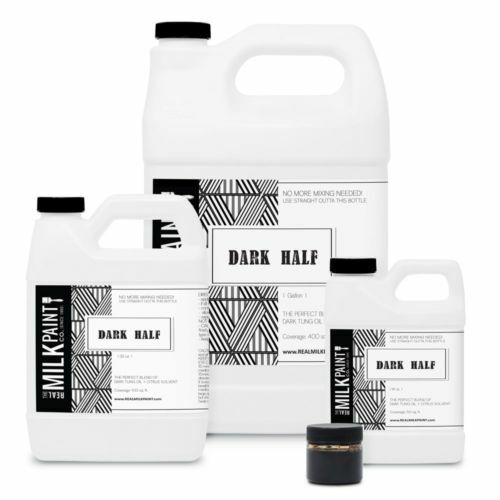 All our finishing creams and glazes are odorless, water-based, and VOC-free. These protective burnishing pastes and glazes are easy to apply and come in a variety of colors. There are also low-sheen and dead flat options, depending on how much luster and shine you want. If you’re looking for a rustic and creative look for a wood finish, why not try a chipped effect, which you can create easily with our chippy paste. The paste allows you to control where chipping occurs and makes for a unique and interesting finish for your projects. 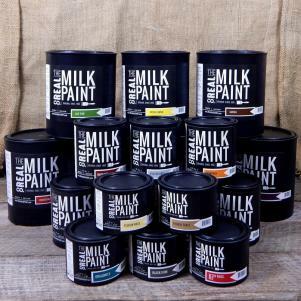 The Real Milk Paint Company has many wood finishing products available to protect your furniture and wood products, and all our milk paint and finishes are guaranteed to be the highest quality and environmentally friendly.